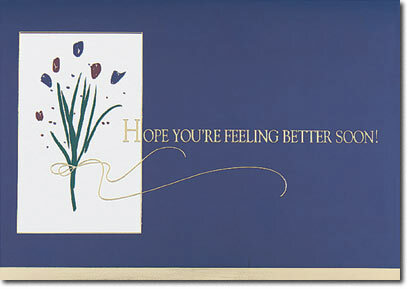 Wish your friends and colleagues well when they are not feeling well with this fashionable card. A navy background and red and navy modern flowers offset the gold foil sentiment. 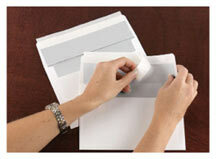 These cards can be personalized with your company or family name. This card is made from recycled paper.